A question we get asked all the time “can I discuss the Cloud?” Whilst many have heard of the cloud, most don’t truly know what it is. Fortunately Care Computers do and we aim to be your go-to destination for cloud services. 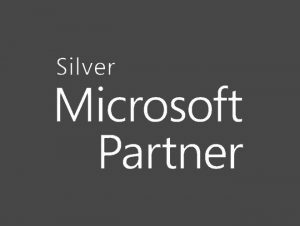 As a Microsoft Cloud Silver partner we have helped hundreds of businesses to migrate their email to Office 365 and we are a pioneering partner in bringing the power of Windows Azure, Microsoft’s huge cloud infrastructure product, down to small and medium sized businesses. If you are a cloud sceptic who just wants to know what it’s all about, or an I.T professional desperate to move your email or back-up process to the cloud, we can help. Read on below for more information on the types of cloud services we offer, or get in touch with one of our sales team to learn more. Through the power of Microsoft’s global reaching datacentre network, Care Computers are pioneering the delivery of affordably priced, enterprise grade cloud platforms to small and medium sized businesses with Windows Azure. If you are a developer that needs a scalable SQL environment for internal or client facing use, or a company with a deep desire for a high performance remote working solution, there isn’t much that the Microsoft cloud can’t offer. We can provide pre-built managed cloud server platforms or just tokens for you to spend on any Microsoft cloud service, so whatever the requirement, let us help you deploy into the cloud. Since its inception, Care Computers have been assessing the suitability of businesses to migrate their internal Exchange or webmail solutions over to Office 365 and to date we have helped over 100 companies do so. As a result of this, we consider ourselves experts in the planning and execution of migrations of mail servers to the cloud and have carried out projects from 5 to 1,000 users, giving those businesses access to a far more flexible and resilient mail platform. If like many companies, mail is a huge part of your workflow why not speak to us about taking advantage of the many features and benefits offered by this versatile and affordably priced solution. So you have decided on moving to the modern world of cloud computing, but just how do you go about doing so? Fortunately we have you covered. From conception to execution we can look at the options available to your company, manage the acquisition of the hardware and software involved in the transition and work with you to carefully plan and carry out the work required to migrate your existing systems over to the new environment. So, don’t let the thought of a large project to move your infrastructure to the cloud put you off, start enjoying the benefits on offer like so many other businesses. Perhaps you require a temporary server solution and don’t want to be tied into a long hosting contract or be sitting on redundant hardware. Maybe you just have no existing infrastructure and want to deploy something quickly. With the power of public and private cloud solutions, environments can be up and running in a matter of hours and we have been providing this sort of solution to new and existing clients for a number of years. Care Computers can work with you to understand the challenges you may face when deploying into the cloud and plan the process to try and mitigate them. Nothing is quite like peace of mind, and what better way to feel safe about your business continuity than implementing a rock-solid back-up and disaster recovery solution. Our team of sales and technical staff have spent many years implementing and maintaining hosted and cloud back-up targets and as a result, can offer you the advice you need to choose the best disaster recovery strategy for your business. We won’t restrict your options either and are partners for Acronis, Veeam, Storagecraft, Symantec and Backup Assist, so whatever your allegiance, we’ll be sure to help you out. Do you have a requirement for a hosted server environment? Do you have registered domains coming out of your ears? How about getting us to provide or manage your hosted environments? Care Computers provide and manage a range of hosting services and can work with you to get your domains under control or set-up co-location space. We can even work hand-in-hand with your web developer, internal IT staff or ISP to get your external services into a manageable position and then provide ongoing support and assistance for a competitive cost.